There is a lot of dirt and debris that come with an excavating job. We are here to provide to trucking and hauling services to clear out all the mess. 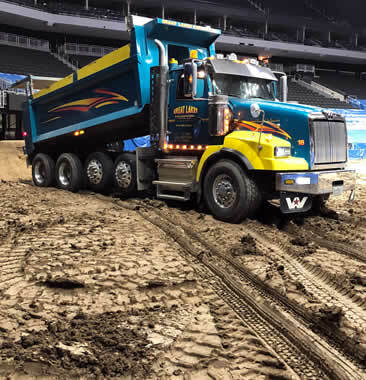 Our professional truckers will haul away all excess dirt and debris so you don't have to deal with it. Our profesisonal truckers will also deliver any landscaping material that is needed such as rocks, mulch, a certain type of dirt and anything else that you might need for your project. We always guarantee that we will take care of any hauling job that you might need whether it is taking debris away or bringing in materials that you need for your project. Here at Great Lakes we have a team of professional truckers that are always ready to haul anything in a timely manner.